Join us for FREE this Friday & every 2nd Friday at Radio Lounge near Chinatown in Downtown Oakland for STEREO SESSIONS! 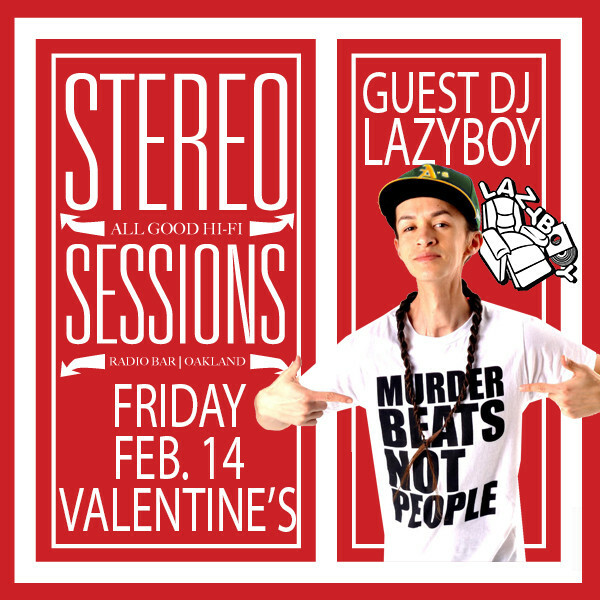 For this Friday’s Valentine’s Day 2014 edition, we welcome DJ LAZYBOY of the Bay Area Record Rockers & 12 Inch Giants as our guest DJ! 10pm-2am. 21 & Over With Valid I.D.